Remember the last year album 'Red' of Pav Dharia consisting of 8 tracks by various vocal artist. In a review posted by MuzicMag, we ranked the track 'Heer Meri' featuring Dheera Chatha superior among other songs. 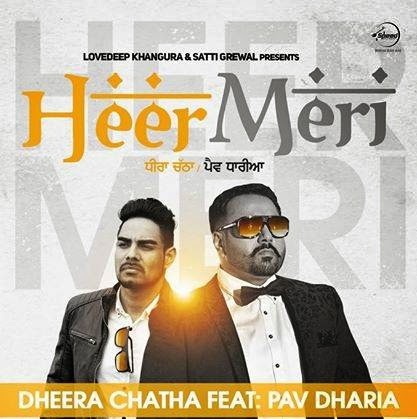 After a long long wait, Pav Dharia brings official video to 'Heer Meri' directed by Pav Himself. Lyrics of the song are penned by Raj Kakra. Check out this awesome music video out on official youtube channel of Speed Records. Tu Heer Meri Ni Main Ranjha Tera..